Cuba’s sensual rumba dance and Belgium’s thriving beer culture brought a new exuberance to UNESCO’s prestigious list of “intangible” heritage on Wednesday. The UN body gave the nod to the rumba, which it said evokes “grace, sensuality and joy”, while it said “making and appreciating beer is part of the living heritage… throughout Belgium,” which has more than 1,500 types. The Cuban delegation to UNESCO talks in the Ethiopian capital Addis Ababa dedicated the rumba’s selection to longtime leader Fidel Castro, who died on Friday aged 90. 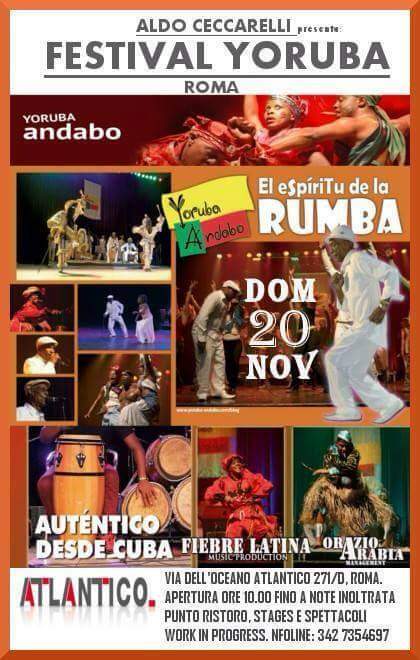 UNESCO said the rumba sprang from poor communities where the dance is an enduring “expression of resistance and self-esteem”. Belgium meanwhile toasted the recognition, with French-speaking culture minister Alda Greoli noting that the country’s beer culture “has been handed down from generation to generation since time immemorial”. Belgian beer’s “communal identity resulted in… an explosion of artisanal creativity and love for the brewing craft,” she said. Her Flemish-speaking counterpart Sven Gatz said Belgium had won “the world cup of beer culture,” calling the nomination a “very nice reward for everyone who works in the sector”. Whether Belgians drink beer to quench their thirst “after an exhilarating walk, during a friendly evening in the local pub, or as part of our gastronomy,” he said, “we have a suitable beer for every occasion”. The listing was “a reward for (Belgian enthusiasts’) efforts… to keep this rich beer culture alive,” it said in a statement. Staying on the festive theme, the World Heritage Committee also enshrined the new year’s celebrations of 12 countries stretching from Turkey to India that fall on the March 21 vernal equinox and known as Nowruz in Iran. The list of “intangible” cultural treasures was created 10 years ago, mainly to increase awareness about them, while UNESCO also sometimes offers financial or technical support to countries struggling to protect them. On Tuesday, the UN body designated Ugandan traditional music, which is dying out partly because it requires materials from endangered species, as intangible heritage “in urgent need of safeguarding”. UNESCO began compiling a list for cultural and natural world heritage — physical properties such as Cambodia’s Angkor Wat or the Grand Canyon in the United States — in 1972. The list now comprises 814 cultural sites, 203 natural ones and 35 with both natural and cultural qualities such as Australia’s Uluru National Park, formerly known as Ayer’s Rock. The committee winds up its review of nominations to the Representative Intangible Cultural Heritage of Humanity list on Thursday. El teatro América, a las 8:30 p.m., servirá de escenario para el homenaje a Benny Moré, en el aniversario 97 de su natalicio. Este concierto contará con la actuación de Mundito Gon­zález, Martha Anglada, Sixto El In­dio, el Conjunto Chapottín, Yoru­ba Andabo y el Grupo Folklórico de México Antorchas Campesinas, en­tre otros. 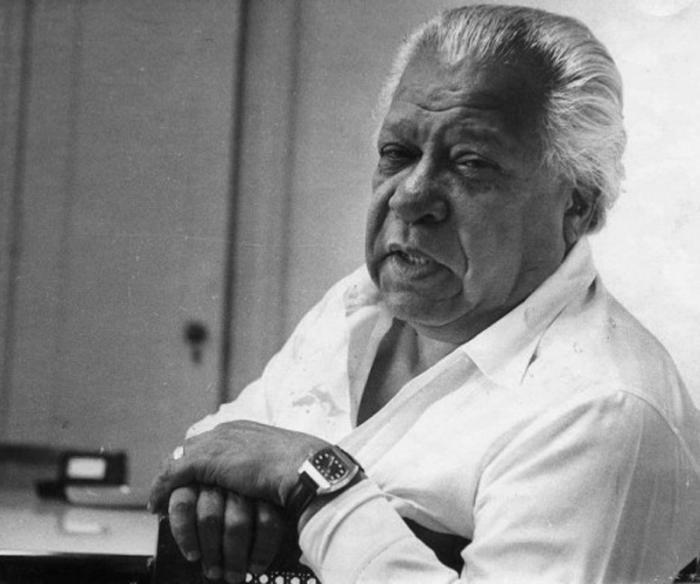 El hilo conductor de los festejos por el aniversario 55 de la Unión de Escritores y Artistas de Cuba (UNEAC) es un verso de quien fuera su primer presidente, el poeta Nicolás Guillén (1902-1989): “Así hemos de ir andando”. Las celebraciones comenzaron con el año, y aun cuando el 22 de agosto, día fundacional, tuvo un cenit con una Gala en la sala García Lorca del Gran Teatro de La Habana Alicia Alonso, las actividades continuaran hasta diciembre, incluyendo un Consejo Nacional, el máximo órgano de dirección, convocado para septiembre. Para homenajear a Nicolás Guillén, presidente de la UNEAC desde su fundación hasta su muerte en julio de 1989, se exhibió un nuevo documental, Nombre común: Nicolás, del realizador Ernesto Bosch, de la Productora de Audiovisuales Octavio Cortázar. La Gala fue dirigida por el maestro Alberto Méndez quien utilizó versos de la extensa obra poética de Guillén como prólogo a la entrada de los artistas que participaron, entre ellos el Ballet Nacional de Cuba, el Coro Nacional, el grupo Yoruba Andabo, el Septeto Nacional, el Trío Lecuona y la soprano Milagros de los Ángeles. HAVANA TIMES — Many foreigners long to visit Old Havana and the majority of Cubans do as well. Every year, millions of tourists walk along its cobblestones, enjoying the best attractions, hotels and attractions the city has to offer. This is the Havana we find in guide books, on websites, labelled “exotic, interesting”: a place you have to go to at least once in your life. This is Old Havana, the beautiful Havana. Founded in 1519 and baptized San Cristobal de La Habana in honor of Havana’s patron saint, the city owes its name to the chief Habaguanex who controlled the area in the years leading up to its colonization. Today, it is our capital and the most populated city in Cuba and the Caribbean islands as it has 2,125,320 inhabitants (2015). It’s history is as old as its architecture. Camagüey, 8 jun.- Agrupaciones de siete provincias asistirán al II Rumbatéate, evento previsto del 9 al 12 próximos en la ciudad de Camagüey, y concerniente a la rumba, declarada Patrimonio Cultural de la Nación. En la cita participarán Los Muñequitos de Matanzas -conjunto insigne del referido género-, Silvina Fabars, Premio Nacional de Danza 2014 e integrante del Conjunto Folklórico Nacional de Cuba, Yoruba Andabo, de La Habana, Obbatuké, de Santiago de Cuba, y Rumbatá, de Camagüey.